I already have a Rilakkuma one right under my sink and I thought this cute one would perfect fit right under my nightstand in the "newspaper tray build in" or whatever it is. I always need tissues for all kinds of reasons; clean my hands after drawing swatches, When I'm crying when The Originals ended and crying tomorrow when The Vampire Diaries ends (no spoilers, you US people!) , when I let skincare stuff fall out of my hands... you know those daily stuff haha, but I need them a lot. and honestly an extra pair of tissues on the other side of my room, heaven to my lazy self xD I think it's super cute and matches well with a cute bedroom theme. When I saw this box I fell in love and needed to have it right away. 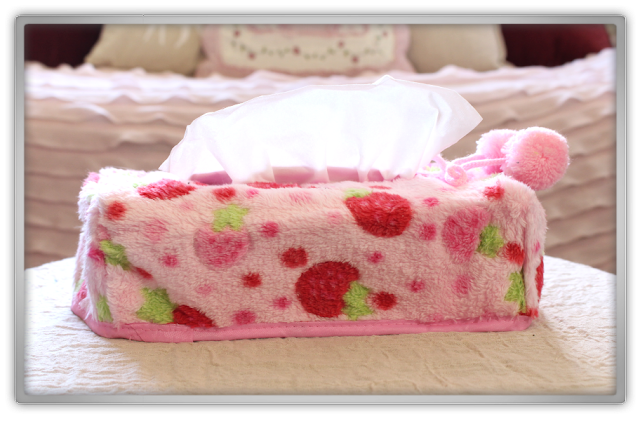 So super, duper cute and handy with those handles! 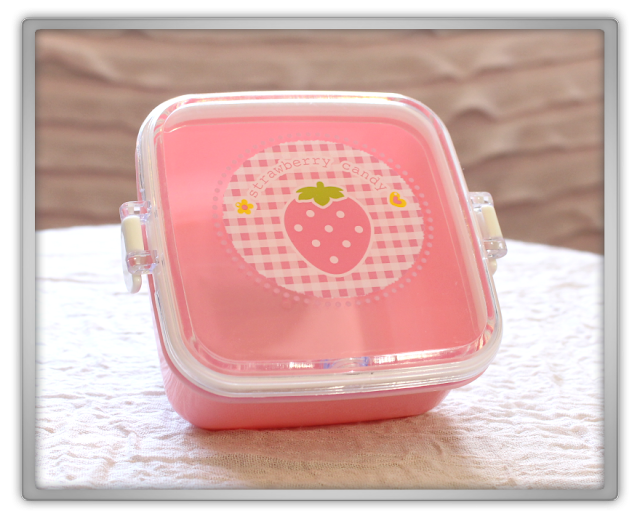 I don't have anything yet to storage in there, but soon I will have matching strawberry candy coming in a Candysan order :D I loved it so much that I've bought another one already, which is still on its way with more strawberry and pink stuff. I don't know what it is but when I look at it, it makes my smile an feel happy; must be my obsessed mind dancing in circles lol. I don't own a bento box... well yeah, now a microwave one haha! 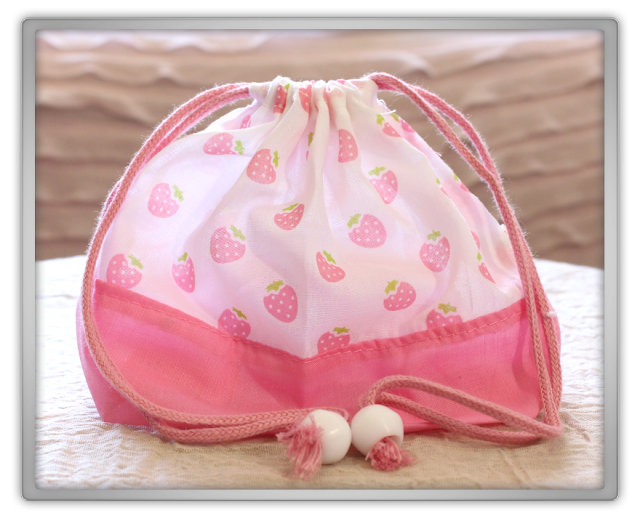 But when I've bought this I thought the color of the strawberries and the pink color of the bag looks so cute and want able that I just bought it. I love to have stuff in bags, I storage my masks in bags and samples. I find it very handy and cute to storage things like that. Also if you fill up a bag the right way you can display it! But to take your lunch with you when I'll go somewhere (in plastic bags or boxes inside) is very handy because then you have it all together. Again no real thought-it-through plan here, but I really love it and it makes me smile! This is the Ebay Store where I've bought all these Strawberry goodies. 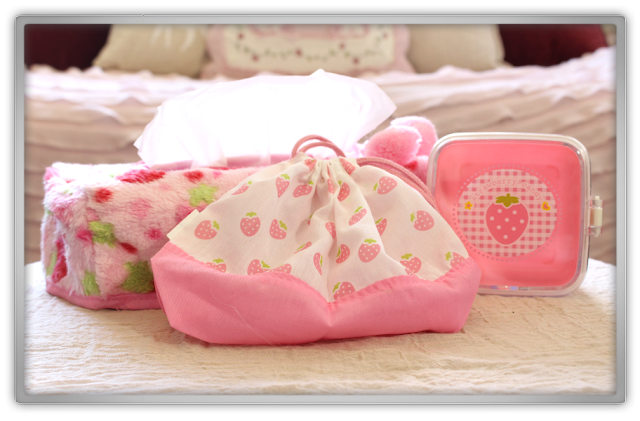 There is more strawberry stuff on its way to me, so be ready for more hauls haha! See you in my next haul!